I've had a hilarious obsession with San Francisco for a while. I seriously thought about moving there last spring, just packing up and leaving DC by myself on a crazy adventure. I just have this nagging feeling that I should live there. But then I told my mom the idea and I was somehow convinced to buy a condo...keeping me here for a couple more years. I'm onto her. The best part? I've never even been there...hah! Well, tomorrow my dream is being realized as I board a plane in the morning with my DREAM destination. 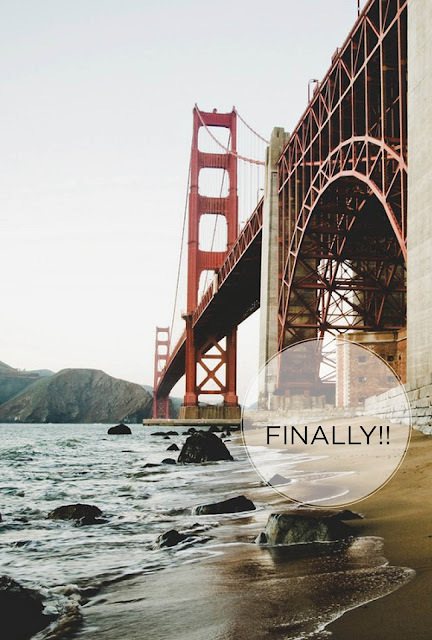 I get to galavant around San Fran and then head to Sonoma for a wedding on Saturday! I'll be back next week my loves! Ah! It is the best city and Sonoma is AMAZING!!! Have fun!